1. Press the button on the top for a few seconds until the LED lights up. It will flash purple a few times, then turn off. This means it has started recording, when the light turns OFF. The LED is off during recording so people don't know that it's on. 2. 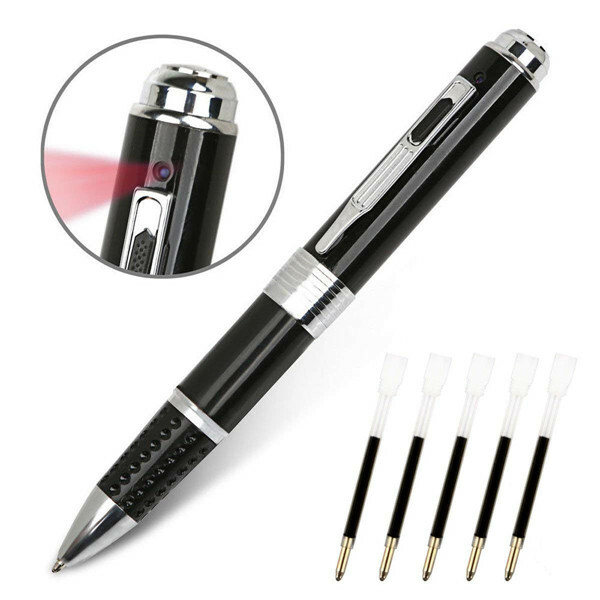 If you press the button once quickly again, the recording stops and the red LED will turn on and this indicates the pen is in STANDBY mode. 3. To turn off, press the button for a few seconds until the LED flashes purple a few times, then turns off. 4. To switch photo mode by going into standby mode and double clicking the button. This changes the red LED to blue, which means photo mode. 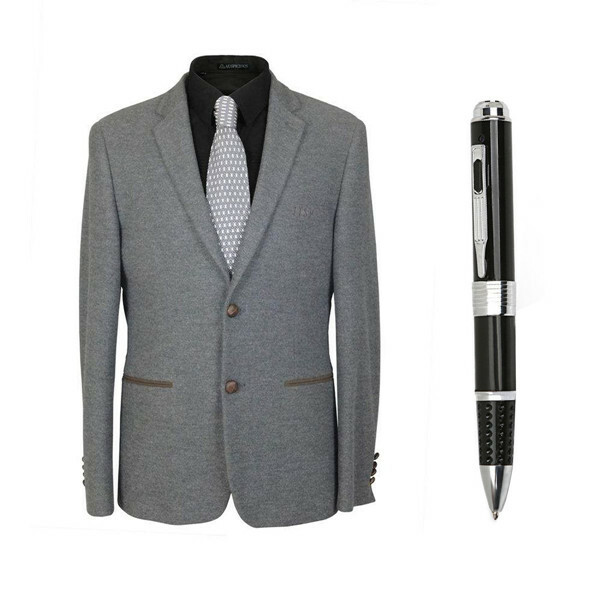 Press the button once to take a photo (you know you are successful when the purple light blinks a few times). 5.To exit photo mode, you double click the button again and it goes into standby mode. - Support 32GB Micro SD card to works on pc and mac. 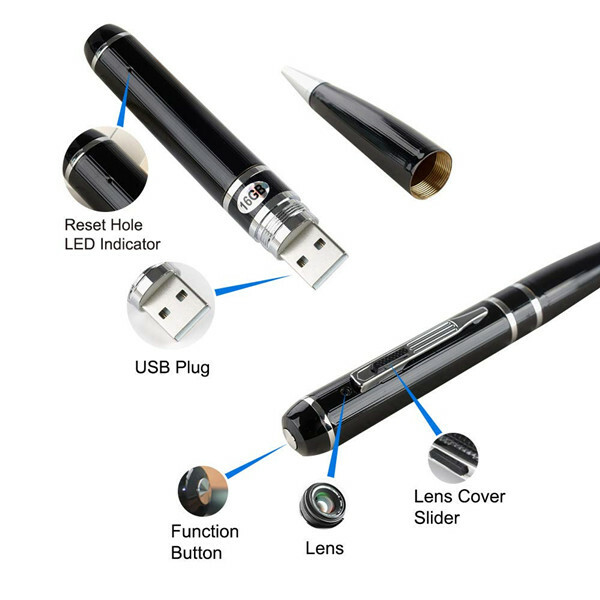 - High performance image sensor records video in FHD 1920x1080 @ 30fps. 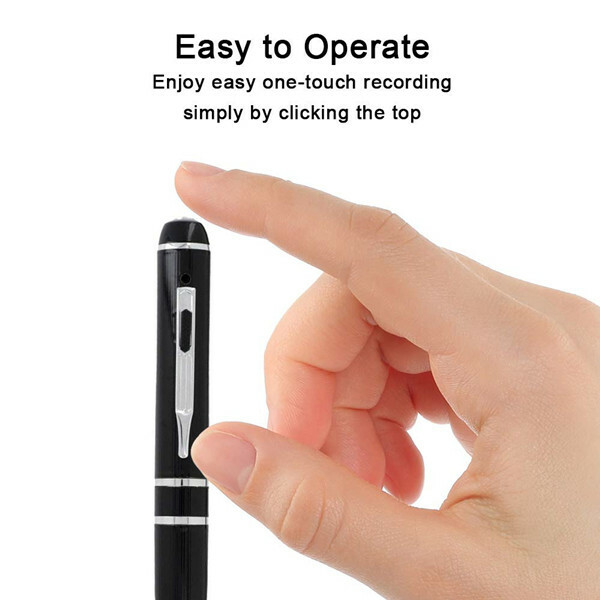 - One touch recording and still image function without flashing light. 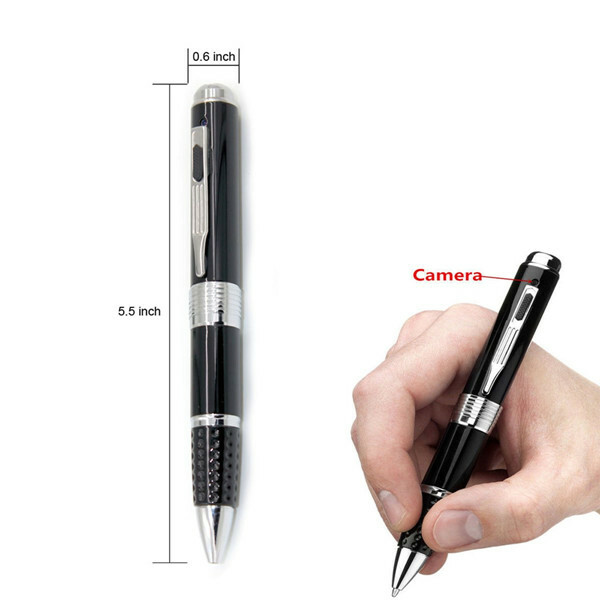 - Works as fully functioning, premium everyday writing ball pen. 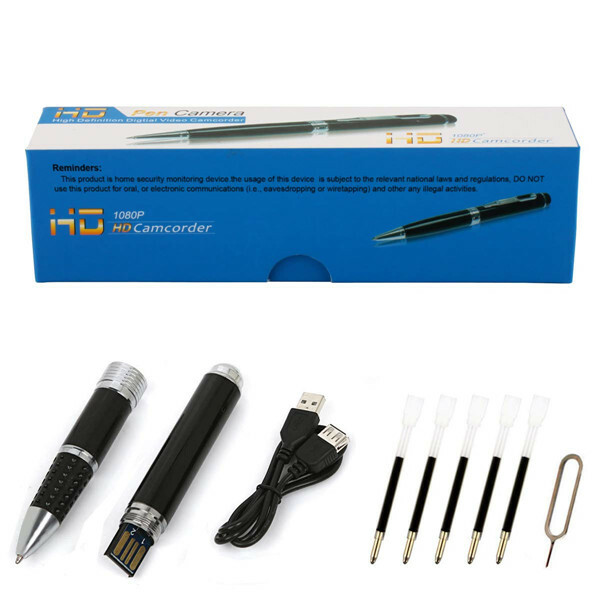 - Includes 3 pen refills and USB cable for hard drive transfer. 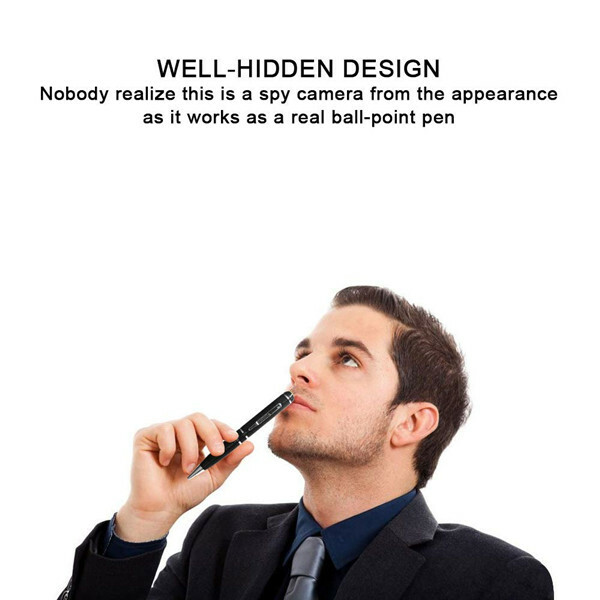 Click the button below to add the Classic 1080P Hidden Spy Camera Pen 2 Hours Working High Clear Photo to your wish list.